Here is another cool app that lets you bring your diagrams and ideas to life on your smartphone. The Grafio 3 app comes with a drag & drop interface. Simply draw shapes and the app recognizes and replaces them with perfectly shaped items. You get over 50 fonts, 10 different connection types, and everything you need to create complex diagrams. 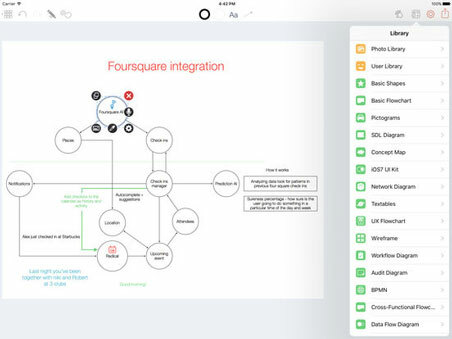 The app lets you label shapes and connections. You will be able to zoom & pan, drag & drop, and undo/redo steps. When you are done, it is possible to export your diagram to PDF or view it on a larger display. Users can also AirPrint their diagrams. 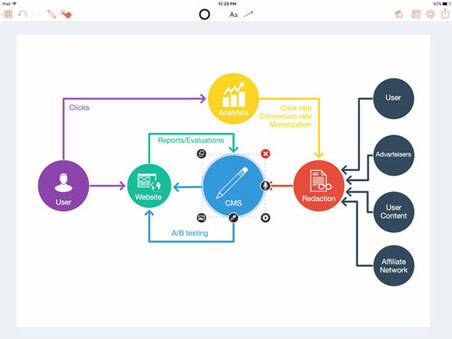 Grafio lets you draw flowcharts, take visual notes, create website maps, and do a whole lot more. It is available for under $8 at this time.